Can TEKNO win a Bathurst triple? DEFENDING Supercheap Auto Bathurst 1000 winner Will Davison says TEKNO Autosport are taking things one step at a time as the team dreams towards an unprecedented third-straight Bathurst enduro triumph. As well as winning the October classic last year, TEKNO Autosport won the 2016 Liqui-Moly Bathurst 12 Hour with Shane van Gisbergen, Jonathon Webb and Alvaro Parente edging out the leading Nissan GT-R at the line. 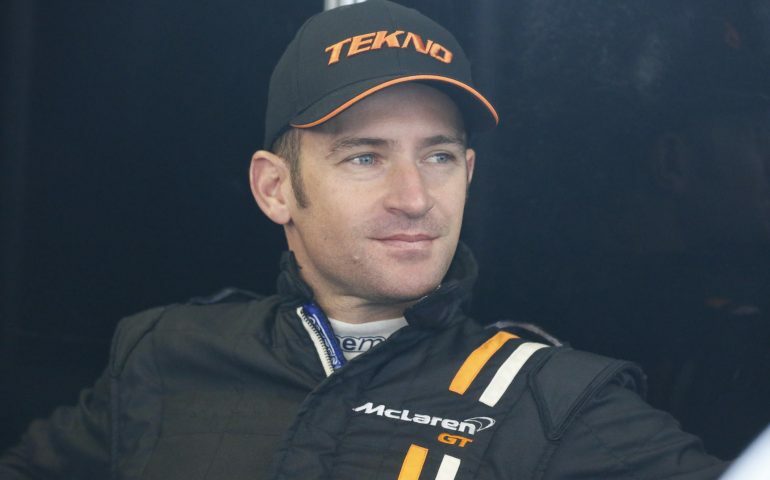 While Webb became the first driver to win the 1000 and 12-hour in the same calendar year and Tekno the first team to achieve the feat – Davison’s triumph in the October race came after a challenging 12-hour McLaren debut. This year he will race the No. 59 Tekno McLaren alongside McLaren young-gun Ben Barnicoat and experienced British ace Johnny Kane. Davison says the 12-hour offers a new and exciting challenge outside of his ‘normal’ racing routine. “I think it’s pretty exciting for us locals. Particularly when I have my usual crew from the Supercars combining with the crew from McLaren that have come over. We have drivers, engineers, mechanics, management,” he explained. “It is really interesting chemistry. We get used to our own series, our own cars, formats – you are in your comfort zone. So it is always very refreshing to do something completely different and drive very different cars. It is not just for us drivers but our crews get to see how other people work. It keeps you on your toes, everyone benefits from it and everyone gets something different and it is exciting. Like so many drivers from Australia and around the world, Davison – who now has two Bathurst 1000 victories to his credit – remains in awe of the classic 6.213km circuit in Bathurst’s backyard. “It is one of the best circuits in the world. I don’t think anyone would take it for granted. We have our Great Race every year and I have been coming for 12 or 13 years but you never take it for granted. “You see the reaction from other drivers and teams who come here and get excited by the place. It is special to have this in our home country and it is special that this event has grown so much in the past few years to become a main event in the global calendar. “As an Aussie driver, we have the ‘Great Race’ that is very respected around the world – and now to be versatile and to be able to drive in another car, to have a race on our home soil – in an international race – we are really lucky.